Following the entries of both tracks into the Top 20 on the Billboard Smooth Jazz chart last week, “Cruisin’ Down The Road” jumps from #18 to #15 with a bullet, while “Never” eases up from #19 to #17 with a bullet. Both are just behind the latest hits from top genre artists Kim Waters, Euge Groove, Boney James and Marcus Anderson. Both tunes are also showing big momentum on the latest Mediabase Smooth A/C chart as well, with “Cruisin…” (which features chart-topping saxophonist Vincent Ingala) hitting the Top 10 (rising from #11 to #7 with a bullet) and “Never” making a major jump from #24 to #19 with a bullet. Both tracks are also doing well on the Smooth Jazz Top 20 with Allen Kepler, with “Never” moving from #14 to #12 and “Cruisin’ Down The Road” holding steady at #15. 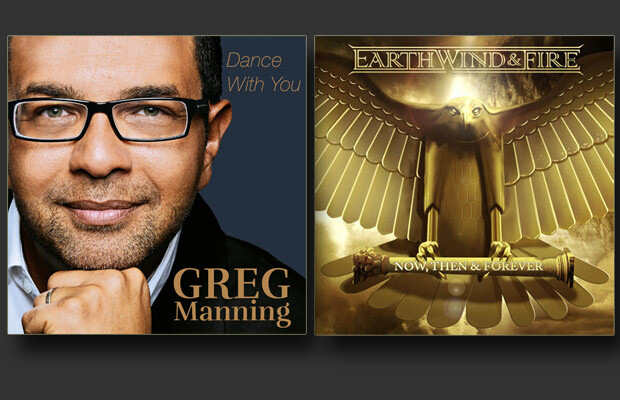 While Manning’s album Dance With You and EWF’s The Promise remain in the Top 40 on the Smoothjazz.com chart – with The Promise reaching #32 with a bullet this week – “Cruisin’…” is also rising on the Groove Jazz Music chart (#6 to #3 with a bullet) and the Radio Wave Internet Airplay chart (#27-#22 with a bullet). Finally, on the SmoothIndieStar.com chart, “Never” inches up from #15 to #14.